A most welcome addition to Pine Grove Press’ fledgling catalogue of scholarly works on Southern music, this offering on the life and times of Nathan Abshire And The Pine Grove Boys is an absolute delight. Authors Lyle Ferbrache and Andy Brown surpass themselves with this superb in depth assessment of Nathan Abshire And The Pine Grove Boys roots, illustrated with an absolutely amazing selection of rare photographs, most of which have never been published before. 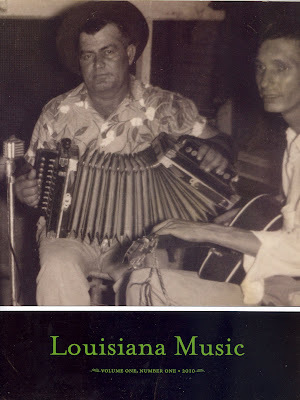 This well researched chronicle on one of the larger than life characters of Cajun music is cram packed with facts, information culled from a variety of sources, including interviews with former members of The Pine Grove Boys. The detailed discography, complete with colour scans of the various labels in question, is the veritable “icing on the cake”; A must for any fan of Hillbilly and / or Cajun music.